The Screwdriver is a great drink if you don’t want a terrible hangover the next day, or if you just need a Vitamin C kick. This vodka and orange juice cocktail is great for morning or early afternoon shindigs. Its a great summer cocktail that is even better if you use freshly squeezed orange juice. Mix things up once in a while and try swapping out the orange for grapefruit to make a Greyhound. If orange is your preference, then read on. 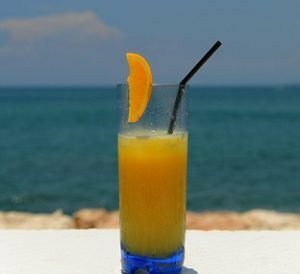 The Harvey Wallbanger is a nice easy cocktail to whip up. A stiff serving of vodka, poured over ice and fresh squeezed orange juice to fill the glass. Vodka really does go with everything and with the success of the screwdriver… it is no surprise. Now to make this cocktail into a Harvey Wallbanger, we need some Galliano to finish it off. float the half ounce of Galliano on top of the drink. The Galliano float is the first thing your guest notices when bringing the Harvey Wallbanger up to their lips for a taste. They can then give the cocktail a stir and sip it for a while. Both the Screwdriver and Harvey Wallbanger are essential cocktails for any aspiring bartender to know. We cover both of these popular cocktails on Day #4 of our bartender certification course. Now if you are a bit of a tequila lover, there is also a Tequila Wallbanger, also known as the Freddy Fudpucker. Any Wallbanger is finished off with a float of the spicy vanilla liqueur, Galliano. Give the tequila based spirit a chance instead of always doing vodka. The added character that even a cheap tequila offers really makes this alternate orange cocktail a wonderful alternative.